Right at the entrance to the park. 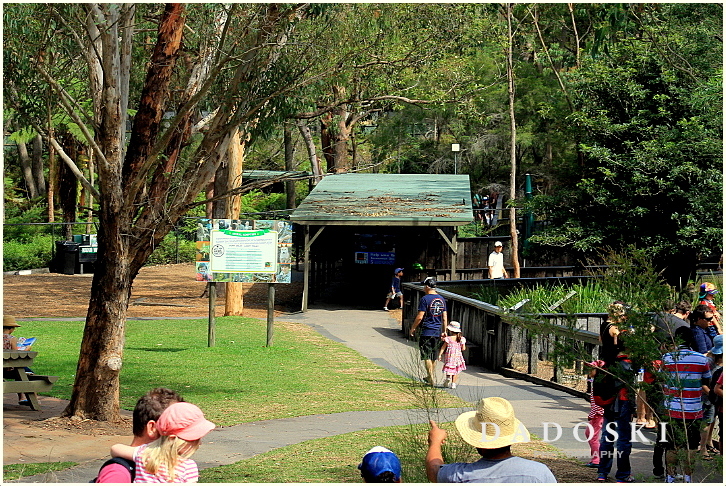 This is another great zoo in Australia on a nine hectare area located at Somersby on the Central Coast, New South Wales. It is about 50 kilometres North of Sydney, and is just off the Sydney-Newcastle Freeway on the Gosford exit. A friend had mentioned the zoo to me before and so on the early part of 2013 we visited it and just hoping that it would be bigger than the Featherdale Wildlife Park. When we arrived here, busloads of tourists had just got off it and were then entering the park and there were some cars already parked too, meaning heaps of visitors were already enjoying the parks wildlife’s animals. At the ticketing area, a big crocodile statue and a big toad in a pond boasts the parks ambiance, and then another huge crocodile statue with an open mouth is well placed at the walkway overlooking the whole park. One side of the sanctuary. There are a lot of features the park do offer. 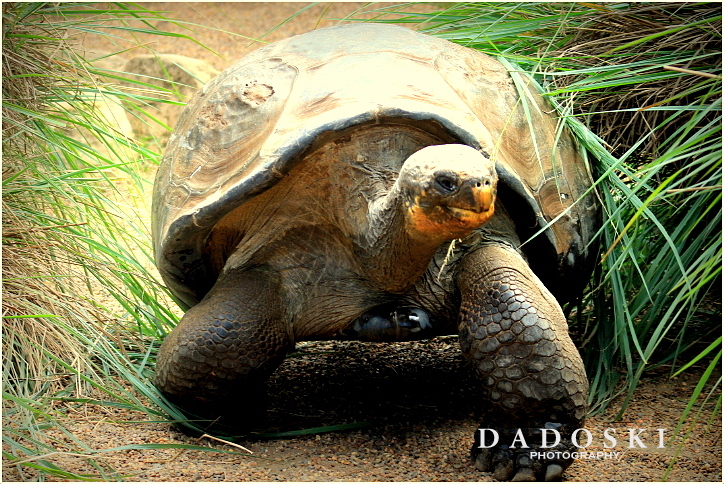 We witnessed the feeding of a giant Galapagos tortoise named Hugo and likewise the feeding of an alligator from the banks of a massive ’gator lagoon. There are native and exotic reptiles and spiders in their unique exhibits. That’s’ why the park accommodates educational tours for school kids. They have great facilities like adventure playground, cafe and picnic area, free BBQs. But in the year 2000, a devastating fire wiped out the Reptile Park’s main building, destroying Australia’s largest collection of reptiles, amphibians and spiders on the night of 16 July. All the external facilities and animals, including Eric the crocodile, escaped the fire. A fault in an electrical lead was found to be the cause. 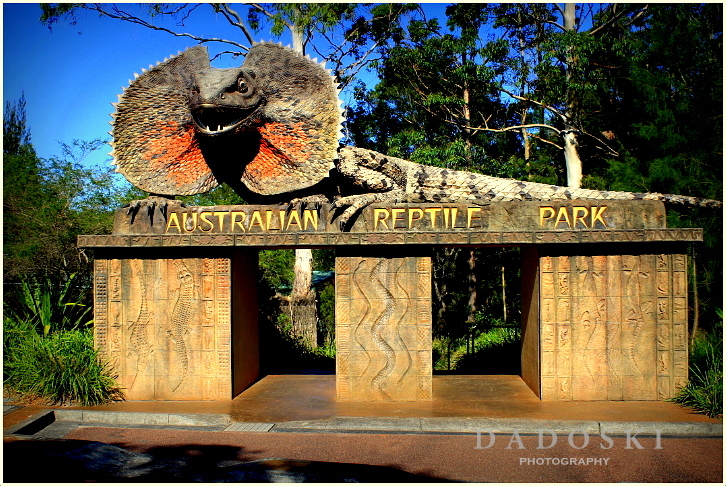 The Reptile Park reopened in an abbreviated format on 9 September in time to capitalize on tourism surge generated by the 2000 Sydney Olympics. The Sanctuary is the only zoo in Australia committed to saving lives with a Venom-Milking Program in place for the past 50+ years, saving over 300 lives each year being the sole supplier of a variety of venoms, which is used for all snake and funnel-web anti-venom in Australia. That is a special program which is very unique and only experts do advocate. In 1951, the founder of the sanctuary Eric Worrell started long-term association with the Commonwealth Serum Laboratories, providing snake venom required to produce antivenoms. Then in June 2008, Australian Reptile Park Director John Weigel received one of the nation’s highest civilian awards – Member (AM) of the Order of Australia. The award was announced by the Governor General as part of the Queen’s Birthday celebrations in recognition of John’s contributions to Australian tourism, herpetology, and snake venom production. 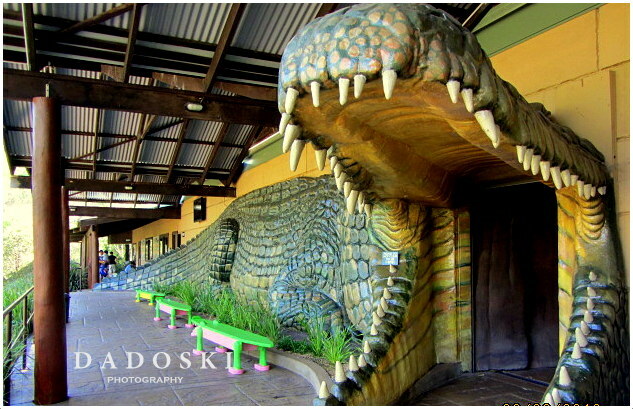 The huge awesome crocodile statue.